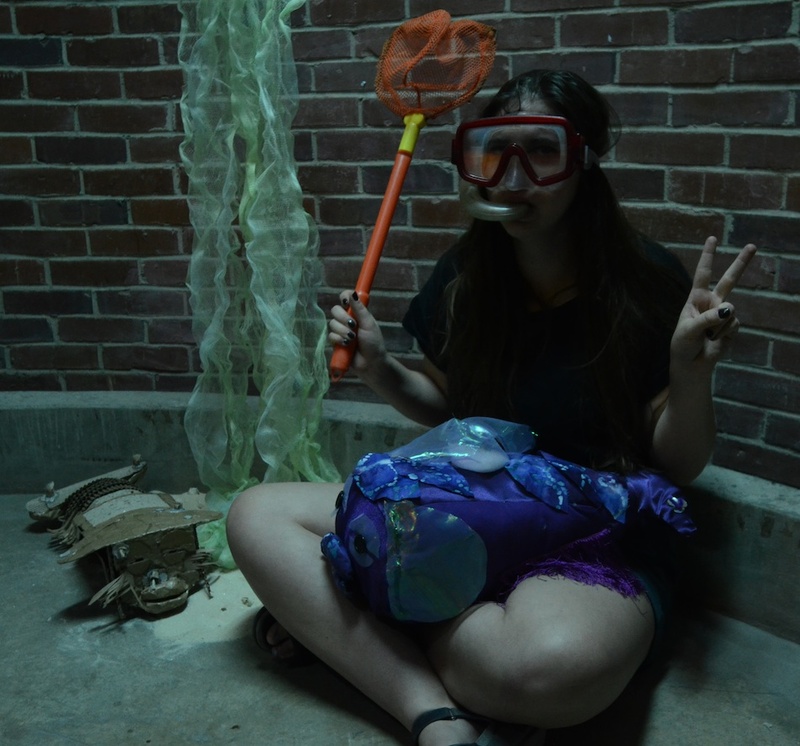 Department of Art | Tenee Hart’s 3D Foundations Class Goes on an Expedition! Home » News » Tenee Hart’s 3D Foundations Class Goes on an Expedition! 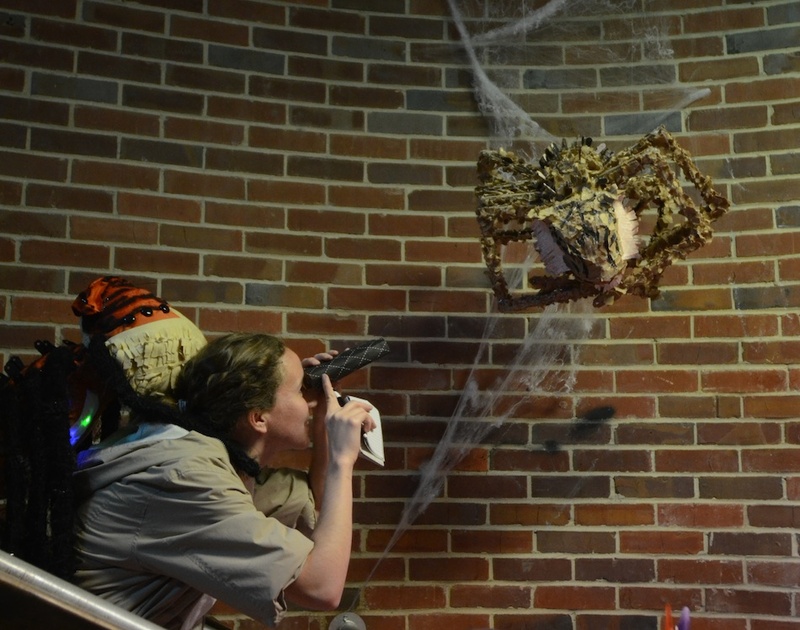 Tenee Hart’s 3D Foundations Class Goes on an Expedition! Tenee’ Hart’s 3D Foundations students were tasked with creating a hybrid species, one of the creatures needed to be made solely out of cardboard and the other out of fabric. At random, an environment for their creatures were chosen (Ocean, Jungle, Swamp, & Arctic). Each creature needed to include aspects of their class object (given at the start of the semester) combined with characteristics from their environments native animals. Critique was an expedition through these environments where we had one-on-one encounters with the fierce creatures and their discoverers!